First Lady Michelle Obama believes all our children should excel in school. In her seventh interview with ESSENCE, Mrs. Obama speaks candidly to Editor-in-Chief Vanessa K. Bush about her passion for higher learning, ways to nuture resilience in our kids and why parental involvement plays a critical part in securing their future. ESSENCE: Thank you for agreeing to speak with us about your new education initiative, Reach Higher, and the importance of parental engagement in our children’s education. We know that parents cannot rely solely on educators to encourage our kids’ pursuit of knowledge. How do we get moms and dads to take more ownership? 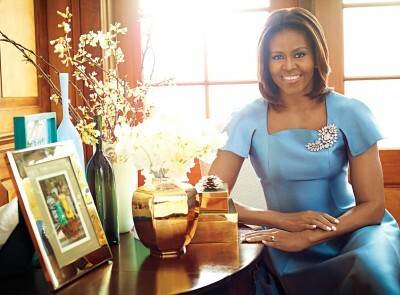 First Lady Michelle Obama: I attribute so much of my success to my parents’ involvement. My parents were working-class folks. Neither of them went to college, but there was something clear about their expectations of us. There was no question in my mind, in my brother’s mind, that we were going to college. And that notion was instilled in us at a very early age. What I think is important for parents to know is that you don’t have to be a college-educated, well-networked, well-financed set of individuals to have that kind of impact. I remember my mom being involved in our schools from the beginning. She was one of those parents who were active in the PTA. She was at the school office; she was checking in on teachers. She was asking questions. She knew who my teachers were. She knew how the curriculum was being structured. And I know it was the engagement of my mom and a couple of other parents at my public school in Chicago that had a positive effect on me and on so many others. I want parents to know that it’s never too early to start setting those expectations, and it doesn’t require any particular skill set. It just requires a deep passion and belief that education is the key to our children’s success. ESSENCE: We hear so much about how vital it is to have the right attitude about getting an education in order to succeed. How can we help our kids to develop a growth mind-set? Obama: When I talk to my kids and other kids, I remind them that knowledge is ever-evolving. What you know isn’t finite. Many kids will stop short of trying because they think something is hard. They can’t attain that information, so they just don’t try. But the growth happens in that struggle. You can get smarter by working harder. The more you put into something, the more you get out. I know I tell my kids all the time that they shouldn’t shy away from difficult things, because that is the point at which you are really growing. It’s not just about grades or test scores. Today our kids may shy away from applying to college if they think they don’t have the right grade or test score. But the truth is that the kids who succeed and go on to be successful professionals are the ones who know how to work hard. They’re the ones who are willing to roll up their sleeves, try new things, fail, get up and try again. That’s what we want kids to understand about education. We don’t want our kids to drop out because they believe they can’t do it. ESSENCE: Our children also need to surround themselves with equally motivated young people. Obama: Absolutely. You are defined by the people you are hanging out with. Now is the time for young people not to just focus on their social networks, TV, computers or boyfriends. You have a lifetime for that, after you’ve gotten that solid foundation of an education, and you have a job to sustain all those wonderful wants, dreams and wishes. Now is the time to invest in education and to take it seriously. I want to shake this message into our young people, especially when we look at what’s going on internationally with the girls in Nigeria who have been kidnapped because they were trying to get an education. What I want our young people to know is that in America, everyone has a school to go to. No one is going to be killed or shot because they want an education. They might be shot on the way to school because of their neighborhood. But that’s very different from not being able to get an education because you’re a woman, because of the color of your skin. We still struggle. We have a way to go in terms of our public education in the United States. But every child in America has a school to go to. And they need to be sitting in the chair, in the school they need to go to, in order to learn. That’s what we should take from those girls struggling in Nigeria. We cannot waste the opportunity that we have here in America, especially as African-Americans. Our ancestors fought and bled and died so that we could go to school. And I still think about that. I think about it in my role as First Lady, that I have an obligation to live up to that legacy. And I thought about that when I was younger and going to school. I thought about the kind of grades I wanted to get, and where I wanted to go with my life. I thought about all the sacrifices that my parents made. And I thought, There’s no way that I’m going to waste these opportunities. ESSENCE: Did your parents remind you at times about the sacrifices that were made so you and your brother could have these opportunities? Obama: You know, they didn’t have to. My parents subtly reminded us, through their actions, how much they were sacrificing so that we could have more. For me, it didn’t require a lecture. I saw it; I realized how lucky I was, how blessed I was. And for that, I felt like l owed my parents, at the very least, to make them proud, to do the best I could with my life.